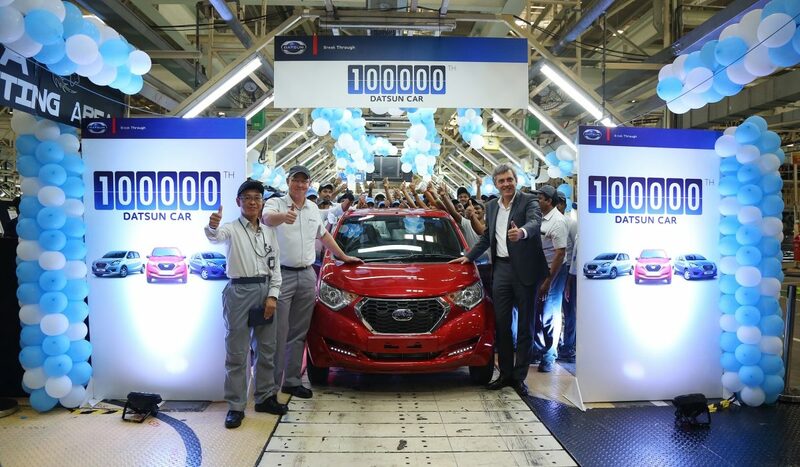 Datsun India celebrated the production milestone of its 100,000th car as a redi-GO 1.0L was rolled out of its manufacturing facility in Chennai in presence of Jerome Saigot, Managing Director, Nissan Motor India Pvt. 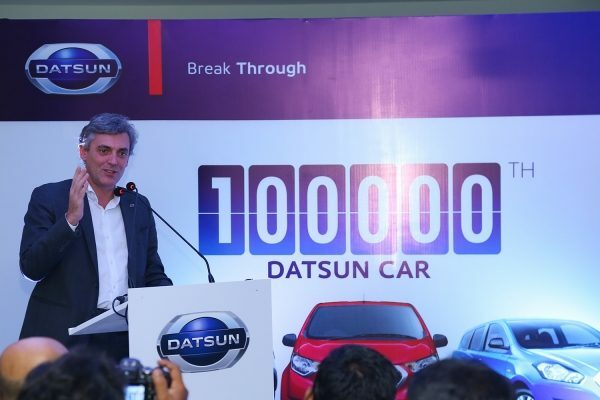 Ltd and Colin MacDonald, CEO & Managing Director, Renault Nissan Automotive India Private Limited. The Datsun redi-GO showcases a Japanese design philosophy called YUKAN - which stands for brave and bold. It features ‘Tall-Boy’ styling and offers best-in-class ground clearance of 185 mm, extra roominess and excellent external visibility for the driver. Continuing with the commitment to provide confidence behind the wheel, Datsun redi-GO comes with a comprehensive safety package –Datsun PRO SAFE7. 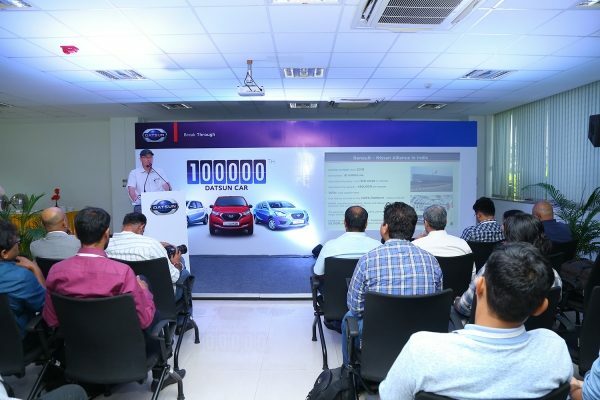 Since the launch of the Datsun redi-GO in June 2016, Datsun India has offered three refreshed variants for its customers- the redi-GO SPORT in September 2016, the redi-GO 1.0L in July 2017 and the recently launched redi-GO 1.0L GOLD in October 2017 has received an overwhelming response.